Split Rock Resort & Golf Club is a four season family resort located on 125 acre Lake Harmony, in the western region of the Pocono Mountains of Pennsylvania. Split Rock Resort & Golf Club’s 1,200+ acres are easily accessible, located only 4 miles from Exit 277 of Interstate 80 and exit 95 of the NE Extension of the Pennsylvania Turnpike. Split Rock is surrounded by endless amounts of mountain sides, Forests, Lakes, and Streams that can be Journeyed threw on Skis, Bikes, Boats, or on foot. The Accommodations and Amenities seem to be endless! The Split Rock Lodge overlooks Lake Harmony and nearby are Cottages with Cozy Fireplace Features. The Willowbrook Suites surround the 27 Hole Golf Course and offer one or two Bedroom Suites. Guests may also enjoy a much more Contemporary room or suite in The Galleria. There is something at the finest Pocono Resorts to please everyone! There are numerous Activities and Festivities that go on at Beautiful Split Rock Resort that include the following- an indoor waterpark, 27 holes of championship golf, 18 hole miniature golf course, 2 indoor pools, 1 outdoor pool, swimming lagoon, 3 indoor tennis courts and 8 outdoor (6 clay and 2 all-weather) courts, racquetball, archery, bocci ball, shuffleboard, softball, volleyball, fully equipped fitness center, massage center, whirlpools, steam rooms, video arcade, billiards room, 8 lane bowling alley, movie theater, gift shop, video rentals, fishing, and paddle boats all on site. The Pocono Mountains has the Finest Pocono Resorts which also includes the Legendary Pocono Mountain Ski Resorts! Nearby, skiing is available at Jack Frost and Big Boulder Ski Areas; hiking trails are numerous, and biking as well as whitewater rafting is available at Pocono Whitewater. Come check yourself in at one of the Finest Pocono Resorts in the Pocono Mountains! 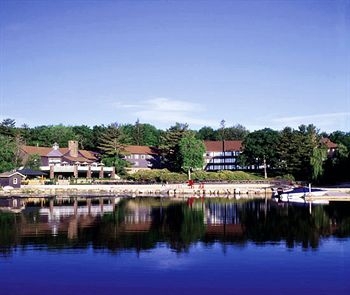 There's a Suite at Split Rock or one of the many Pocono Resorts with your name on it for 2012! CLICK HERE For an MLS Search at my Website!